Think back and remember your very first roller coaster ride. I recall a lot of anxiety and trepidation — along with a hopeful spirit that I was finally tall enough and brave enough to ride. It was a right-of-passage in a sense, and it made me feel all grown up. We have a ton of thrilling coasters for enthusiasts with quests to conquer the mountains of Disney and more. But it’s so awesome that we have gentler offerings to ease little ones into a lifetime of loving coasters. 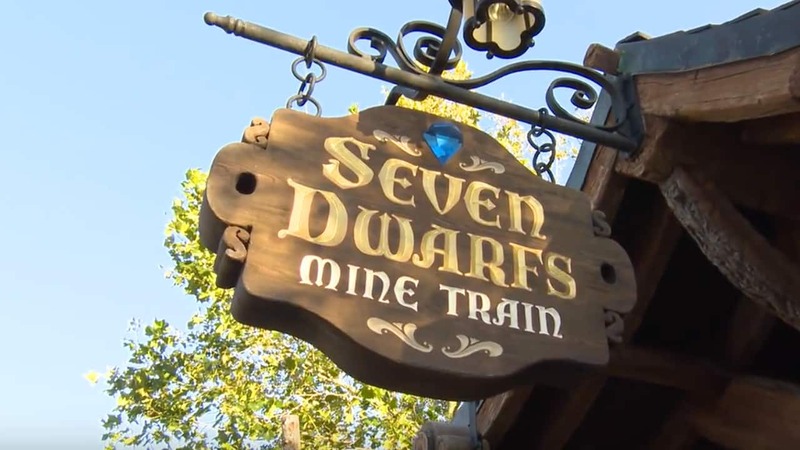 Based on the classic Disney film “Snow White and the Seven Dwarfs,” the Seven Dwarfs Mine Train opened a couple of years ago as part of the Fantasyland expansion. It’s a family-friendly coaster (open to kids 38 inches tall) that actually swings on the track from side to side. It’s super appealing to youngsters with its cheery music, gentle twists and turns, and top speeds of less than 35 mph. It’s almost like two rides in one with storytelling inside with the adorable dwarfs as animatronic figures in familiar scenes; while on the outside track it’s wind in your hair thrills. We checked in with some park guests who gave us their reactions to this rocking Magic Kingdom Park ride.